American traditional folk music group, formed in 1927. Their music was hugely influential for bluegrass, country, folk, and rock musicians. The original group split up when A.P. 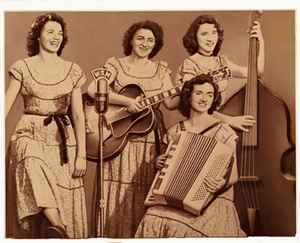 Carter and Sara Carter left in 1944, but Maybelle Carter and her daughters continued performing as The Carter Sisters. In the 1960's, The Carter Sisters reclaimed the name The Carter Family.